Deepika Padukone smiles during a news conference for her upcoming movie Karthik Calling Karthik at a multiplex in Chandigarh on Monday. The movie is directed by first-timer Vijay Lalwani and co-stars Farhan Akhtar. It is scheduled for release on February 26. 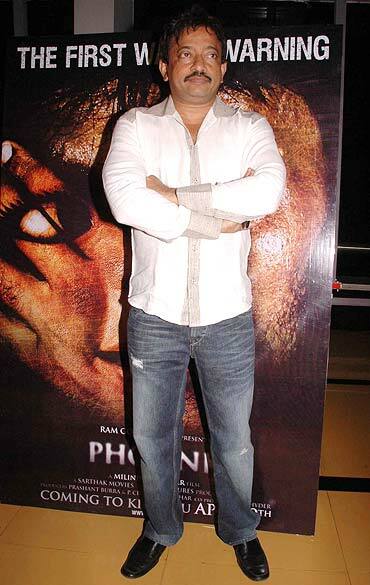 Ram Gopal Varma is snapped at the launch of his new horror movie Phoonk 2. The film stars Sudeep, Amruta Khanvilkar, Ashwini Kalsekar, Ahsaas Channa, Neeru Bajwa, Amit Sadh and Rishabh Jain. The film is directed and written by first-timer Milind Gadagkar. Sisters Kylie and Dannii Minogue pose together at the Elle Magazine style awards in London on Monday. 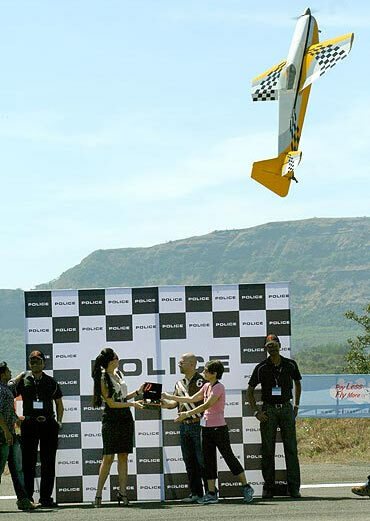 Neha Dhupia launched the premium collection of Police watches at the Aeromodellers Meet 2010 in Aamby Valley, on Saturday. While she was a pretty sight to see, the launch also saw mini planes glide in the air, making a marvellous spectacle. Pix: Bollywood's sexiest navels revealed!